Scott is a 2008 graduate of Embry-Riddle Aeronautical University, Daytona Beach Campus with a major in Aviation Maintenance Science and a minor in Air Traffic Management. 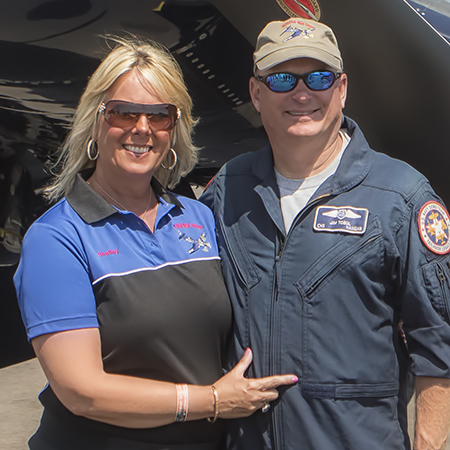 While attending school at ERAU, Scott obtained his Commercial Single and Multi Engine Land, Single Engine Sea, Flight Instructor, and Airframe and Powerpant Mechanic. In between all of the school flying, he built hours by banner towwing and instructing in the family T-6 Texan before checking out in the P-51 at the age of 20. After Graduation, Scooter moved back to West Virginia, obtained his Inspection Authorization, and has picked up the family restoration and fabrication business. He currently holds a Surface Level Aerobatic waiver in the P-51 and performs in dozens of shows a year. His current Total time is 5,000+ hours and over 400 in P-51’s. 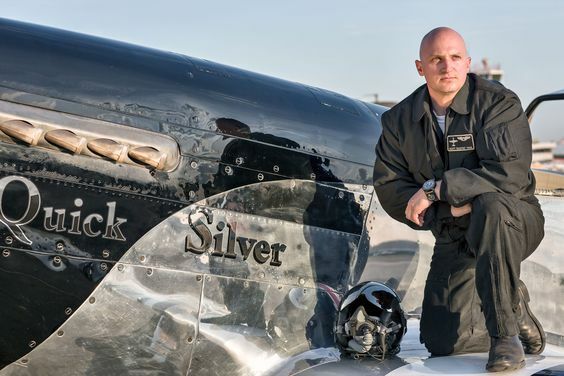 When he is not touring with the mustang or working in the shop, he is the Deputy Team Chief for the Black Diamond Jet Team. Jim Tobul is the man behind the stick in “Korean War Hero,” but rather than the owner, he considers himself more the caretaker of this beautiful warbird and her storied history. An avid pilot for over 40 years, Jim takes great pride in carrying the legacy of the veteran Corsair to airshows all over North America. He lives in Jackson, WY. Jim began flying at the age of 9 years old flying his dad’s Stinson 108 and acquired his pilot’s license in the mid ‘70’s. His dad purchased a 1943 North American SNJ-4 in 1980 and Jim started to fly that plane in 1981. Since that time, Jim has flown many different Warbirds such as the B-25, T-28, L-5, B-17, P-51, F-18 Super Hornet, PBY-5 and others. Currently, Jim flies his Mitsubishi MU-2 Solitaire all over the US and has flown this type since 1987.